Tamilarasan is an upcoming Tamil action film written and directed by Babu Yogeswaran, who had earlier directed the Jayam Ravi-starrer Daas. The film stars Vijay Antony and Remya Nambeesan in lead roles, with Suresh Gopi, Sonu Sood and Robo Shankar playing crucial roles. The makers have announced a new, exciting addition to the film's music crew. 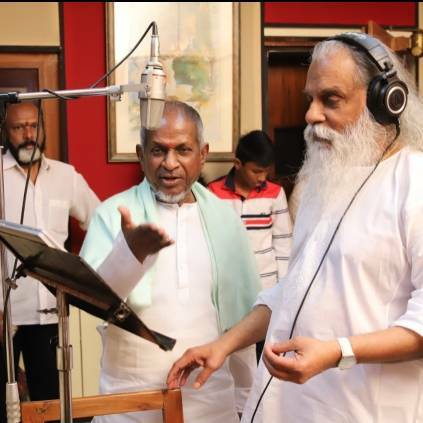 Legendary singer K.J Yesudas, the voice behind yesteryear hits like 'Kanne Kalaimaane', 'Yen Iniya Pon Nilaave' and the recent 'Yaar Petra Magano' from Kaththi is set to unite with the film's composer, maestro Ilayaraja for a song that will be featured in the film. The composer-singer duo is uniting after a gap of ten years after the 2009 historical film Pazhassi Raja. Tamilarasan's shooting is going at a brisk pace and the team had recently finished it's second schedule. The shooting is currently taking place in Chennai.On the technical aspects, Tamilarasan is cinematographed by R.D Rajasekar and edited by Bhuvan Chandrashekar. "Ilayaraja Has All The Rights To Slap Me!" Yuvan About His Daughter Ziya's Music Avatar! People looking for online information on Ilayaraja, Kj yesudas, Vijay Antony will find this news story useful.